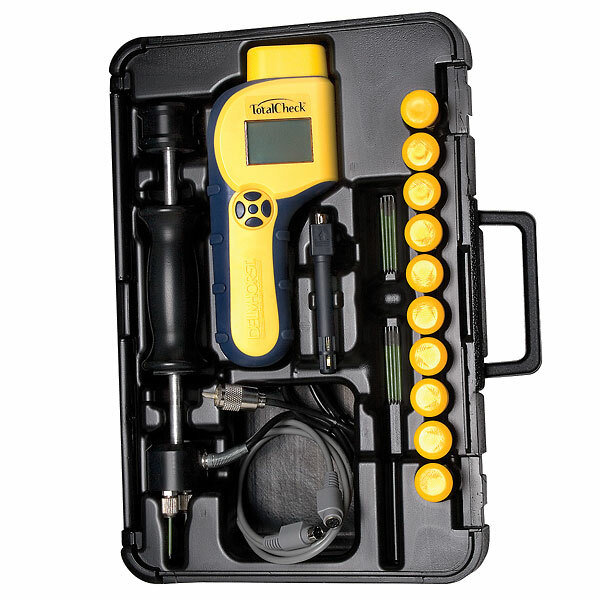 TotalCheck, three-in-one meter offers scan and pin moisture modes and a thermo-hygrometer that measures ambient Temperature and RH and calculates Dew point and GPP. 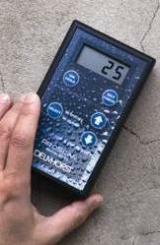 High levels of ambient humidity can be warning sign at inspection jobs, and RH is also a major concern when installing a floor over a concrete sub-floor. 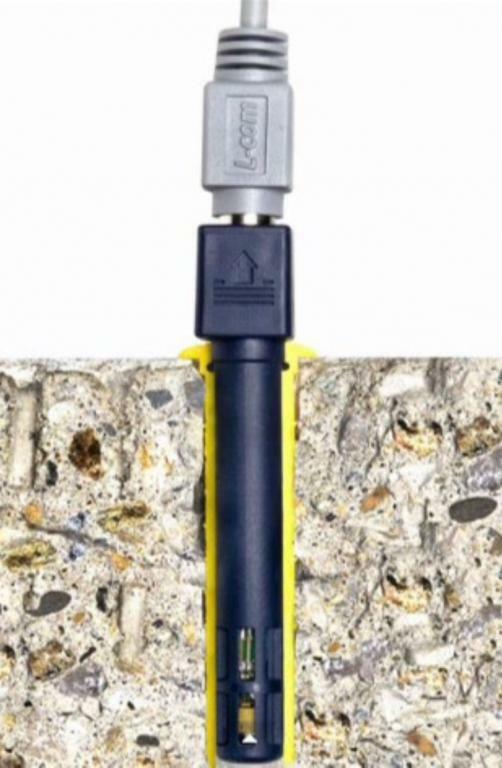 To address this concern, the TotalCheck with S-3 was designed to conform to the ASTM F2170 standard to determine RH in a concrete slab, using in-situ probes. 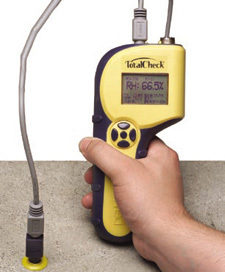 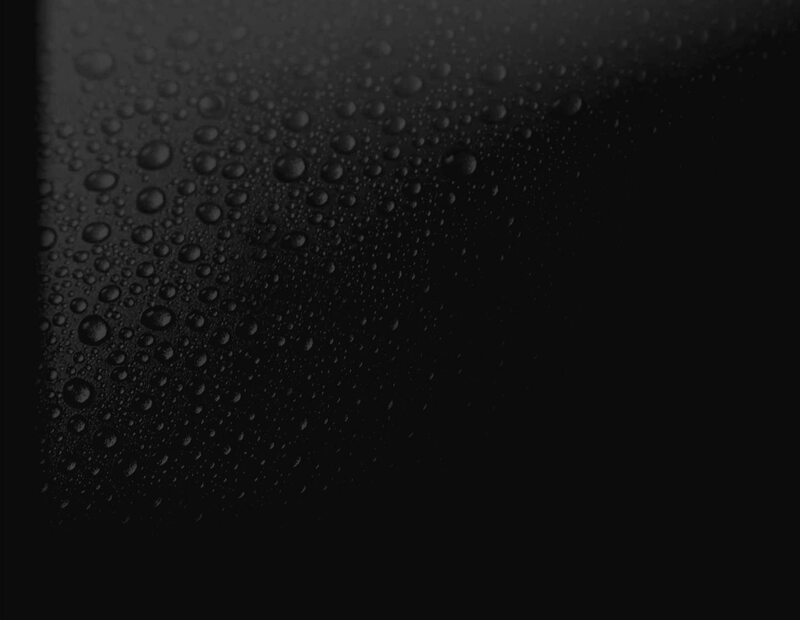 With TotalCheck, you can feel confident that your concrete floors have dried adequately. 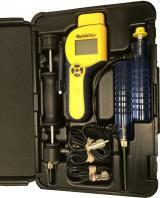 Includes meter with RH/T sensor, RH/T-C1 Cable, 26-ES hammer electrode, extra contact pins, (10) CS-3 sleeves and carrying case plus PC/Kit.